21 Prechistenka street, Moscow on October 18-19,2018 at 11.00 AM. Zurab Tsereteli, President of the Russian Academy of arts, Goodwill Ambassador of UNESCO. Tatiana Kochemasova, Academician of Russian Academy of Arts, Vice-President of the Russian Academy of Arts. Pavel Alipov, PhD in History, Associate Professor of the Department of History and Political Science and Law of the Institute for History and Archives of the Russian State University for the Humanities. Anna Shevtsova, Doctor of History, Professor of the Department of Cultural Studies of Moscow Pedagogical State University. Nikolai Naumov, sculptor, art-critic (AIS), curator. 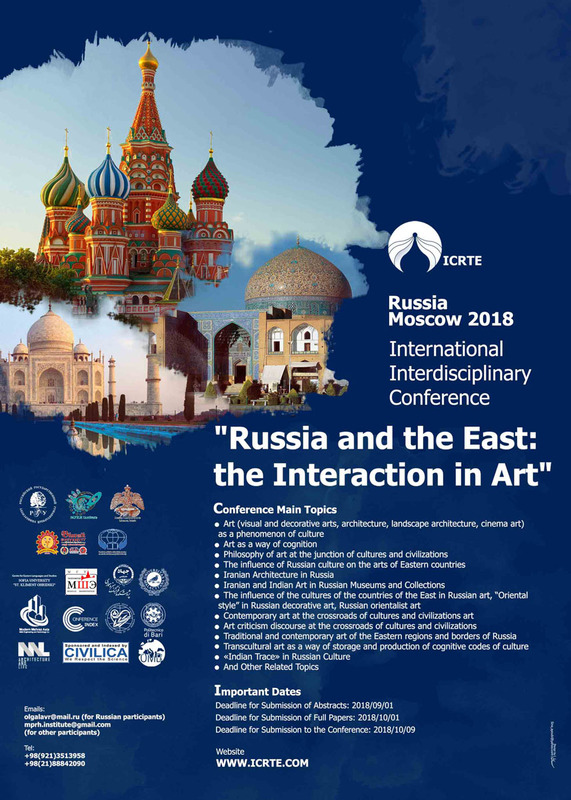 Polina Korotkova, researcher of the Department of the Middle East, South Asia and Central Asia, custodian of the Near and Middle East Art at the State Museum of Arts of Peoples of the East, Moscow; researcher, Department of Asian and African State Institute of Art.